Product reviews for "Nintendo Game"
Not showing 57 reviews left without comment. 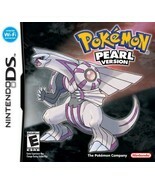 Nintendo DS - Pokemon Pearl - Brand New - Sealed - Free Shipping! What more can I say? 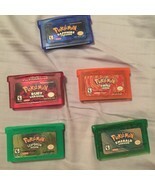 It was a sealed copy of Pokemon Pearl in excellent condition! 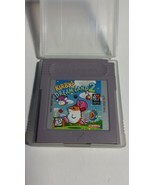 After thorough examination and playing it looks, feels, and plays just like an authentic cartridge, so if it's not the real deal it's the best copy I've ever seen! 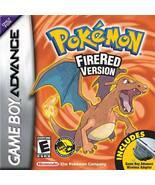 As a child the game boy advance was the coolest thing there was, now as an adult I still feel the same way and the nostalgia is too real as I re explore one of my favorite gen 3 Pokemon games with my favorite starter, charmander. 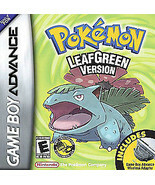 This game is an original copy with trade compatibility and I'd recommend this to any fans who still have their gba or sp hidden away somewhere. A month later, still plays perfectly. 10/10. I got the game in the case that was pictured. At first the game did not work but that happens with older games. I cleaned it up with a q-tip and a dab of rubbing alcohol and the game has worked perfect. I am happy with this purchase. 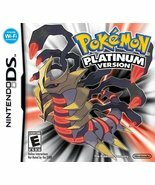 Nintendo DS - Pokemon Platinum - Brand New - Sealed - Free Shipping! The price seemed to good to be true, but I was happy to receive a legit copy of the game.